In the first volume of Raymond E. Brown’s magisterial two-volume commentary on the Gospel According to John, all of the major Johannine questions—of authorship, composition, dating, the relationship of John to the Synoptics (Mark, Matthew, and Luke) are discussed. The important theories of modern biblical scholarship concerning John are weighed against the evidence given in the text and against prevailing biblical research. In sum, what is attempted is a synthesis of the major scholarly insights that bear on the Fourth Gospel. The translation—as Father Brown states at the outset—strives not for any formal beauty but rather for an accurate and contemporary version: “the simple, everyday Greek of the Gospel has been rendered into the ordinary American English of today.” The result is a translation that will strike the reader with uncommon immediacy. 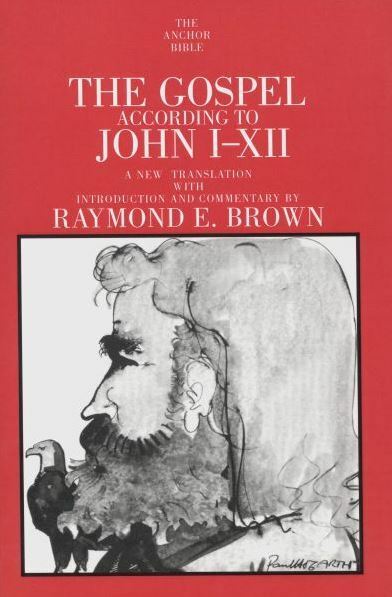 Father Brown also analyzes, in the appendixes, the meaning, use, and frequency of certain key words and phrases that occur in John, and examines the differences between the Johannine and Synoptic treatments of the miracle stories. The chapters of the Gospel translated here in Volume 29 (1–12) comprise the Prologue, which opens with the famous “In the beginning was the Word,” and the Book of Signs, an account of the miracles of Jesus and of his ministry. Over his illustrious career, Raymond E. Brown, S.S., Ph.D., was internationally regarded as a dean of New Testament scholars. He was Auburn Distinguished Professor Emeritus of Biblical Studies at Union Theological Seminary in New York City. Among his more than thirty-five books on the Bible are three volumes in the Anchor Bible Series, as well as the Anchor Bible Reference Library volumes The Birth of the Messiah, The Death of the Messiah, and An Introduction to the New Testament, winner of the 1998 Catholic Press Association Award for Biblical Studies. THE ANCHOR YALE BIBLE COMMENTARY SERIES is a project of international and interfaith scope in which Protestant, Catholic, and Jewish scholars from many countries contribute individual volumes. The project is not sponsored by any ecclesiastical organization and is not intended to reflect any particular theological doctrine. The Anchor Yale Bible is committed to producing commentaries in the tradition established half a century ago by the founders of the series, William Foxwell Albright and David Noel Freedman. It aims to present the best contemporary scholarship in a way that is accessible not only to scholars but also to the educated nonspecialist. Its approach is grounded in exact translation of the ancient languages and an appreciation of the historical and cultural context in which the biblical books were written supplemented by insights from modern methods, such as sociological and literary criticism.